Ever wondered what to do with all those jam jars you seem to gather? 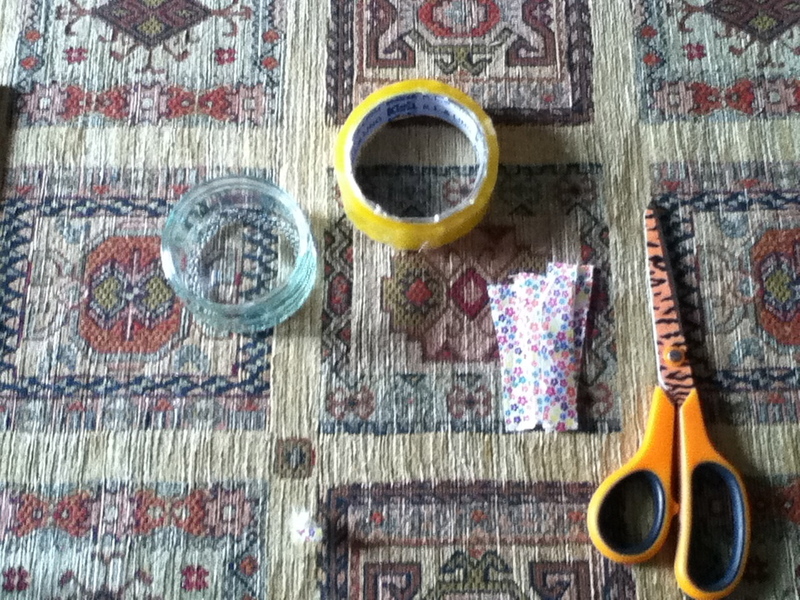 Well, wonder no more, as I have a simple DIY for you. 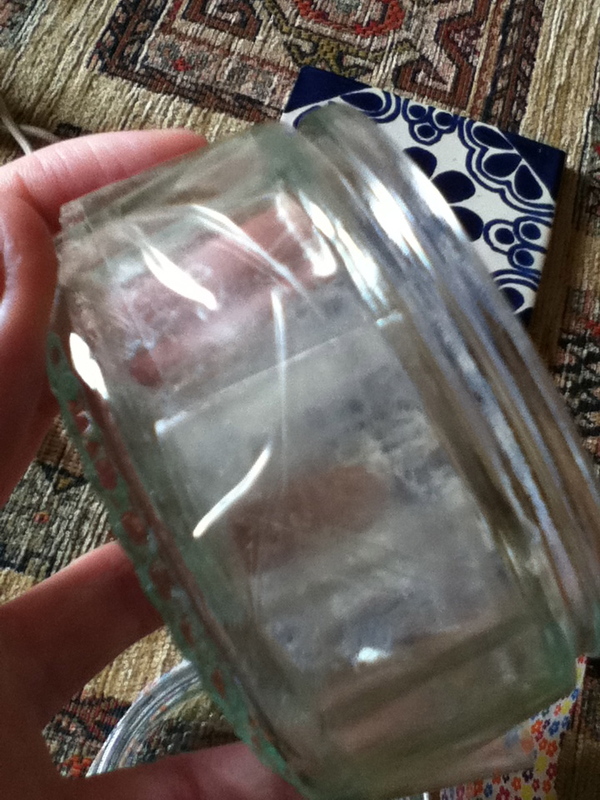 Jam jars make perfect jewellery and accessory holders, as they are easy to get hold of and versatile. 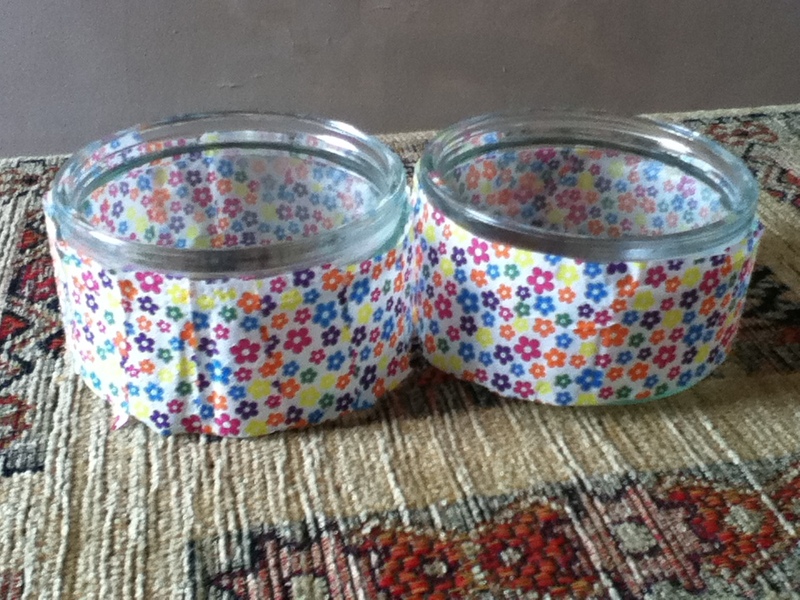 They’re also very easy to decorate and what better way to help the environment by giving an old jam jar a new life? Disclaimer: I would strongly urge you NOT to use the jars as tea light holders, as open flames and fabric/paper do not mix! 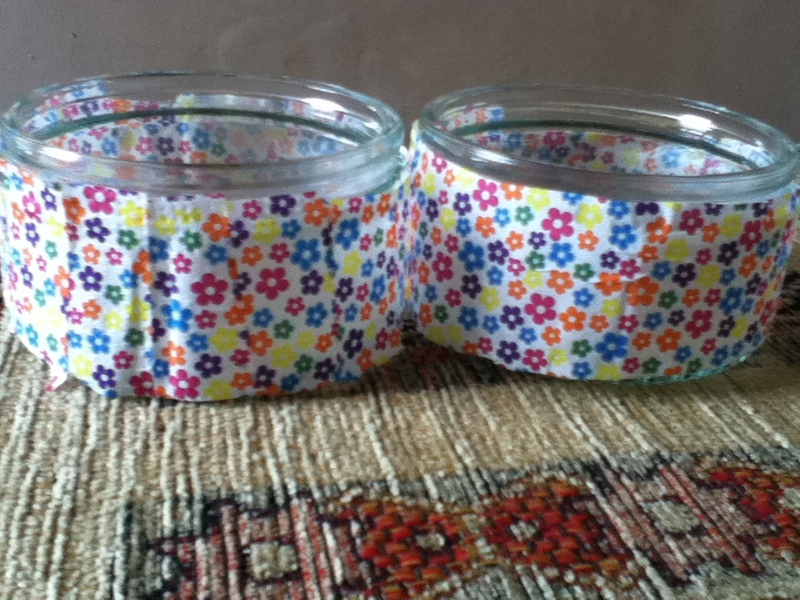 One of the easiest ways to decorate a jar is to glue paper or fabric to it and this is what I did. 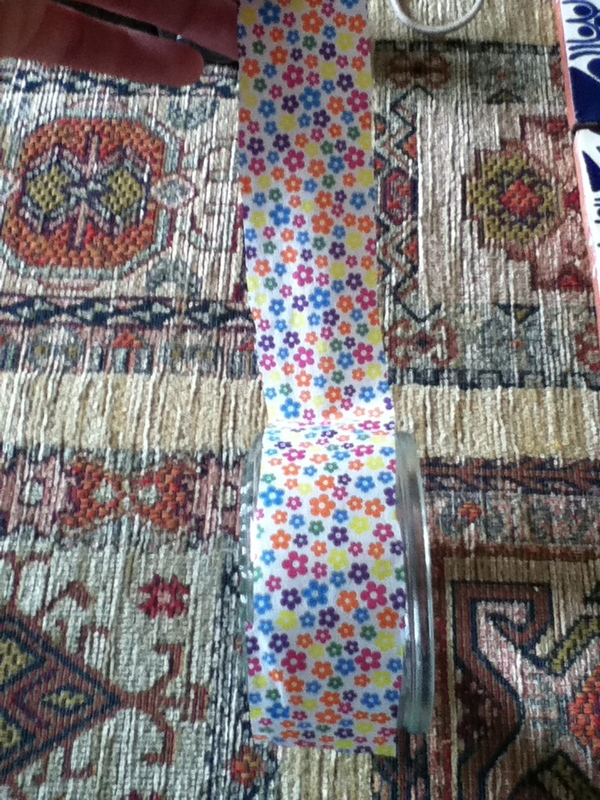 I chose to sellotape mine, but you can glue the paper or fabric if you want, using a strongish glue. If you’d like to catch up with all my other DIYs, you can find them here.